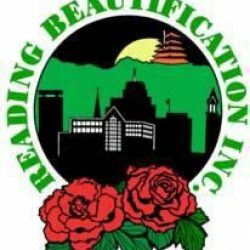 Apr 21, 2017 • by Reading Beautification, Inc.
READING, PA – Saturday, April 22 will mark the 23rd Annual Great American Clean Up, headquartered at Riverfront Park in downtown Reading, directed by Reading Beautification, Inc. (RBI) in conjunction with the City of Reading. During this one-day, city-wide event, over 1,000 volunteers gather to pick up garbage and litter in our streets, alleyways, parks, neighborhoods, and public spaces. Materials are available free of cost, including trash bags, trash pickers, gloves, rakes, and more. Thirteen dumpsters are also distributed throughout the city of Reading for removal of trash. Registration will be open from 8:00 AM – noon at Riverfront Park. Many teams of volunteers have already signed up, however walk-up teams and individuals will also be welcomed! Teams are formed by regional companies, neighborhoods, local colleges, sports teams, churches, volunteer groups, Rotaries, and more. For walk-up registrants, materials will be first come-first serve. Overall, we anticipate nearly 1,000 volunteers, collecting many tons of trash from all corners of the City. To end the event, RBI and The City of Reading will sponsor an appreciation luncheon at Riverfront Park for all of the participating volunteers. RBI is a proud affiliate of Keep America Beautiful and Keep Pennsylvania Beautiful, both programs that conduct clean-ups across the nation between the months of March and May under the “Great American Clean Up” tagline. Reading Beautification, Inc. (RBI) is a community-based 501(C)(3) tax exempt organization with a mission to be the leading advocate and facilitator for a cleaner and more beautiful Reading. This mission is achieved through active partnerships, and educational programs to develop stronger neighborhoods. These programs enhance economic development, maintain housing stock values and contribute toward a better all-around environment in which to live, work, raise a family and do profitable business in a clean, attractive environment.